Trump's Presidency was rooted in building the wall and now it is in debate. The wall Donald Trump and his administration wish to build on the southern border with Mexico is the cause for the recent government shutdown, which was the longest shutdown in US history. The shutdown has ended but the debate will continue on. Trump’s wall is the symbol for his presidency and administration, and due to its extreme nature, it has become such an emotionally charged issue that the legitimacy and effectiveness of the wall are in question. Trump has utilized the wall as propaganda capitalizing on the fear of Americans to rally support, and though this is effective, it is causing the legitimate issue of border security to transform into a battle of differing ideologies, which is causing impractical issues that will not resolve. Congress should not fund the wall because of the negative ideology that it ultimately represents. The premise of building a wall, though controversial, does a fantastic job of exciting the right kind of people. 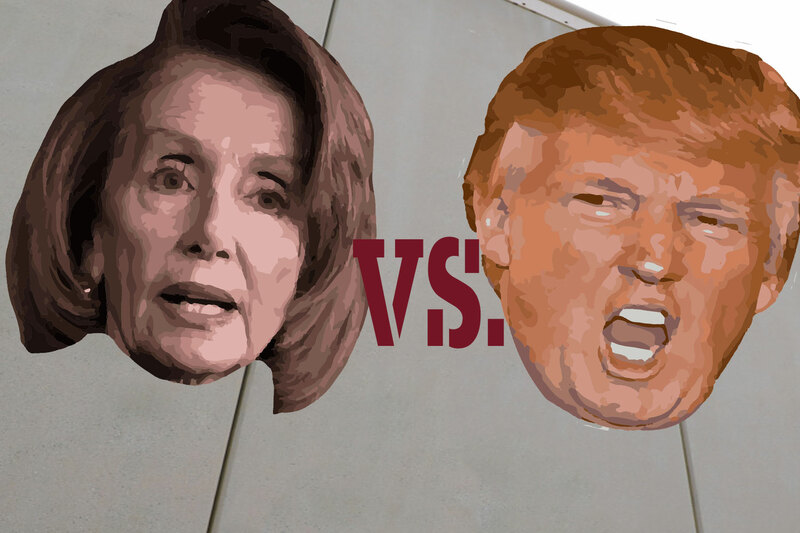 The wall represents an ideology that only some support, yet its actual purpose, increasing border security, gains support from all sides of the political spectrum. Building a wall stretching across the southern border is not the correct way to approach increasing border security. A large barrier may be effective on parts of the southern border left most insecure, but to build it across the entire border runs into problems such as eminent domain in places where the border shares the land with private property, and the current issue, funding. Even if the wall is constructed, dangerous criminals will find a way to get around it. A majority of the drugs that are flowing in from Mexico come through ports of entry such as a border town, harbor, or airport through which people and goods may enter our country, according to the US Customs and Border Protection statistics. Though a large percentage of drugs are being seized, this brings into question the drugs that are not, and who lets them in. In order for the wall to work, corrupt border patrol officers must be removed, which is a lofty task that will take time. Instead of construction of a wall across the entire border, Trump should create large barriers, perhaps even a physical wall, in the most unguarded and dangerous areas. This compromise would allow for both sides of the political spectrum to be on board because it would increase border security whilst not entirely giving in to the Trump ideology. In addition, removing corrupt individuals will optimize border security whilst bringing justice to criminals. Do not let the wall and border security morph into an emotionally charged argument, instead focus on the legitimate facts and what will truly work. If this is accomplished, the government will remain open and both sides of the political spectrum will come to a compromise. On December 22, 2018, Donald Trump ordered a government shutdown because of the Democratic party’s unwillingness to fund the $5 billion border wall between the US and Mexico. This border wall debate created the longest government shutdown in US history. The border wall needs to be erected. Firstly, Illegal immigrants are evading from taxes and taking welfare away from American citizens who need it. According to a study by the Center for Immigration Studies, in 2014, sixty-three percent of non-citizen households reported that they used at least one welfare program compared to only thirty-five percent of native households. The non-citizen households are more likely to jump ship and take the money that should be going to American citizens who are struggling. Secondly, there are rapists and murderers coming over to the US. In 2015, illegal immigrants picked up by ICE, U.S. Immigration and Customs Enforcement, had 2,028 homicide offenses. According to an ICE report, 5,350 charges or convictions of sexual assault were levied against illegal immigrants during the 2018 fiscal year. The left says the wall is immoral. However, seventy-seven other countries around the world already have strong borders. It is not a new idea that the government has come up with. The wall was the main promise of Trump’s campaign, and in my opinion, it is a big reason as to why he was elected.